"Try not to serve piss warm, if possible." 2. I forgot my camera on this particular day in St. Louis, so I don’t have my own photos to share. Nevertheless, I found myself in St. Louis, that town synonymous with yellow-hued pisswater, a few weekends back in order to attend a family wedding. Naturally, being myself, I arranged to meet my parents there a few hours before the church ceremony in order to have lunch at a brewpub, Six Row Brewing. After attending the ceremony, we then headed out to check out the new Urban Chestnut Brewing before the reception. That’s right–we visited TWO breweries before heading someplace with an open bar. That’s how my dad and I roll. What we found in these two ale factories was really a dichotomy of styles and outlooks on contemporary brewing. They both brought a handful of positives to the table, but in the end one of them was my clear favorite. This place is located pretty centrally in St. Louis, and it was only a mile or so away from the cathedral where the wedding was held. 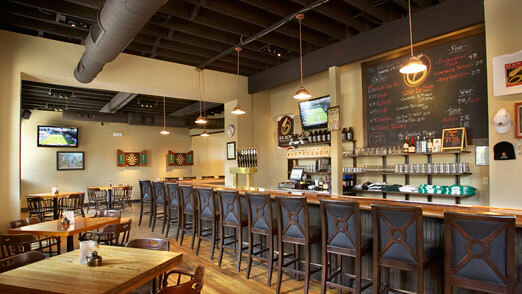 It’s also only a mile from Urban Chestnut–the geography worked out quite well for us here. We rolled in around noon, having just fought our way through awful traffic on the bridge into St. Louis. The vibe of Six Row is kind of in the “brew pub standard” mold–nothing really sets it apart too much. It just looks like a thousand other small breweries, which isn’t a bad thing. I noticed specials on the board for students, implying that kids from the nearby St. Louis University (just to the north) probably frequent it on weeknights. Kudos to Six Row for introducing those kids to craft beer. Don't you feel like you've already been there? Sufficiently suds’d up, we went on to the ceremony, a big Catholic wedding held at the unbelievably massive Cathedral Basilica of St. Louis. I spent most of the wedding thinking about what an unimaginable amount of beer the construction of the basilica could have instead purchased. 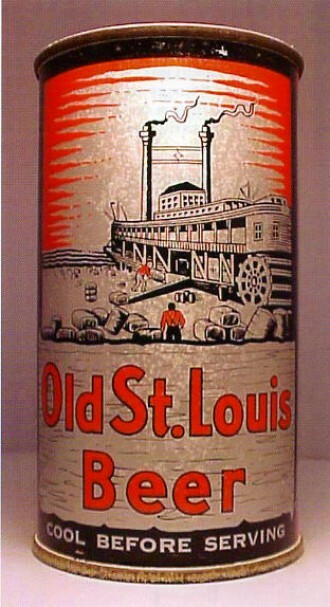 I can only assume that it would have worked out to at least one pint for every man, woman and child in St. Louis. But no matter. After a quick ceremony, we were on our way to the next brewery. *The Urban Chestnut site seems to be twitchy today and is giving me an error message for this page and others. I assume this is probably only temporary, as it was fine in the past. 1. All the beers are divided into two categories/halves of the Urban Chestnut philosophy. These two halves are called Reverence and Revolution. 2. The “Reverence” series presents classic, traditional beer styles in exactly the way they were originally intended to be drunk. A lot of them are German-inspired beer, but there are also English brews and others. 3. The “Revolution” series on the other hand is the brewers’ playground for experimentation, where they’re able to take the beers from the Reverence series and twist them, manipulate and do terrible things to them behind closed doors to come up with unique and genre-bending ales and lagers. My father and I ordered a sampler and then some in an effort to try most of the beers. Calypso — A single-hop American-style IPA made with “Calypso hops,” which I had never heard of before. At the time, I thought it seemed strangely fruity in a non-citrus or tropical way, and that seems to be backed up by the hop description at Austin Homebrew Supply. It’s a little outside my typical flavor wheelhouse, but I could see this sort of hop in a barleywine or something of that nature with a little more sweetness. This is probably a beer that requires another taste before really deciding, though. Nevertheless, 2.5 hops. I believe at some point about an hour ago I typed something to the effect of “I’m going to keep this short.” Clearly, I am a despicable liar and should hang for my crimes. In all seriousness though, if you’re in the St. Louis area, check these places out. For my money, I’ll take the innovation and genre-bending of Urban Chestnut first and foremost, but as ever it’s a matter of taste. You can expect that in a month or so when I go on vacation, I’ll probably have more on these breweries, as well as others, along with a bevy of photos. Posted in Ale Factories.Tagged six row brewing, st. louis beer, st. louis breweries, urban chestnut, urban chestnut brewing. I want to know the last beer that impressed Mr. Carboy Sr. I picture Carboy, Sr. as the father from Dead Poet’s Society. 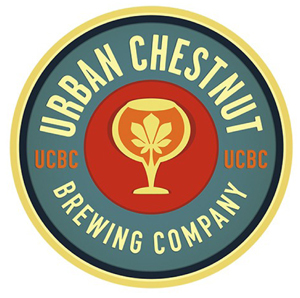 Does Urban Chestnut bottle its beers? That hopfen (as well as whatever Carboy, Sr. recommends) sounds great. Carboy Sr. is an odd beast. I introduced him to craft beer and nurtured his taste, but then he became an out-of-control hophead monster. Now he’s like a junkie who needs increasingly bigger fixes of lupulin to get out of bed in the morning. As such, he likes hoppy beers that punch you in the face. Hopslam is definitely one of his favorites. I did hear him say the other day that he liked the Green Flash Hop Head Red. He’s still an intermediate beer geek, so he’s continuing to try everything he gets his hands on. I know he makes mixed-six packs at our local package store a lot. I think he’s actually trying to work his way through our Top 10 IPAs right now by all accounts. Commander: Urban Chestnut is mostly draft for now, available in different bars throughout the St. Louis area. They’re moving into bottling now, but I don’t know which ones they’ll bottle and I can’t expect their beer to make it too far from home. The just received their bottling equipment last week. Will be up soon. Any idea what they’re going to bottle, Dave? I heard from the barkeep the other day that they will bottle Winged Nut and Zwickel… maybe one more. They are going to bottle them in 500ml bottles and sell them in a 4-pack. So it will be 2 liters of beer (the same as their growler). I would have hoped that the Hopfen or Schnickelfritz would get the bottle treatment. I guess the Hopfen is more of a “draft beer”.